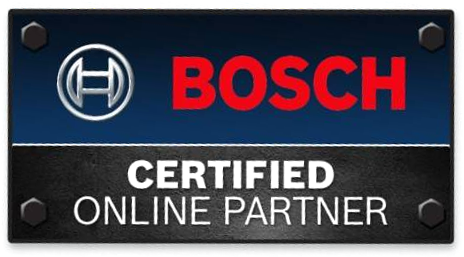 The Bosch GRL 400 H Rotary Laser is built to provide a 360° horizontal beam for construction projects and grade excavation. 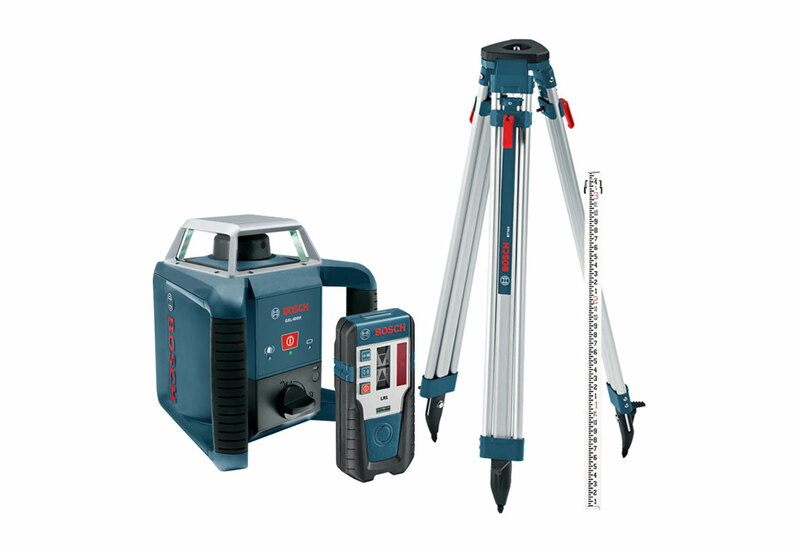 This self-leveling laser level produces a 360° horizontal beam and has a working range of 1,300 feet. Get up to 40 hours of battery life from 2x D cell batteries so you can work all day long without having to change batteries. The laser has a glass enclosed cage head assembly that provides weather protection for use outdoors. Robust construction with IP56 protection is great for both indoor and outdoor use. Fast horizontal electronic self-leveling laser with disturbance monitor – ensures consistent leveling accuracy on the jobsite. 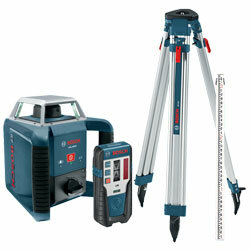 Get accuracy of up to ±3/32" at 100 ft. with this laser level.